The implementation of the K-12 Law requiring the addition of Grades 11 and 12 or an additional 2 years of High School to the basic education ladder was implemented in S.Y. 2016-2017. As a strategy to arrest the decline in the enrolees of West Bay Colleges, Inc. entered into partnership with the Muntinlupa Public School Division to accept Public Senior HS students under the Voucher Program. Under this program, Grade 10 public school students were enrolled in West Bay Colleges, Inc. under the tracks WBC offered. The student’s tuition fee worth P22, 500 per student a year were paid for by DepEd through the Private Education Assistance Committee (PEAC). The school was allowed to specialized strands under the Maritime Program, Pre-Baccalaureate Maritime and Technical Vocational Maritime strands. Prepared for the future, be it in pursuit of higher education or acquisition of middle-level skills, or geared towards employment or entrepreneurship. Specialization or tracks to be offered will be distributed according to the resources available in the area, the needs and interests of most students, and the opportunities and demands of the community. West Bay Colleges, Inc. offers Academic and Technical – Vocational – Livelihood Track. Each track has different strands which focus on the specialization of the course. Science, Technology, Engineering and Mathematics are intertwining disciplines when applied in the real world. The difference of the STEM curriculum with the other strands and tracks is the focus on advanced concepts and topics. Under this track, one can be a pilot, an architect, an astrophysicist, a biologist, a chemist, an engineer, a dentist, a nutritionist, a nurse, a doctor etc. Those who are also interested in Marine Engineering should take this track. The Pre-Baccalaureate Maritime specialization is a modified program of the STEM strand under the Academic Track. In this specialization, six specialized subjects of the STEM strand were retained and three were replaced with maritime – related subjects. The goal of the Pre-Baccalaureate Maritime Specialization is to encourage SHS graduates to pursue maritime higher education. With this, the country will be able to produce more seafarers at the officer level. The ABM strand focuses on the basic concepts of financial management, business management, corporate operations and accounting services. This strand leads every student to careers on management and accounting which could be sales manager, human resources, marketing director, project officer, bookkeeper, accounting clerk, internal auditor etc. This strand is designed for those students who want to pursue a career in journalism, communication arts, liberal arts, education, and other social science – related courses in college. One could be looking forward to becoming a teacher, a psychologist, a lawyer, a writer, a social worker, or a reporter someday. This strand focuses on improving your communication skills. Also, priesthood is a choice in this strand. GAS is great for students who are still undecided on which track to take. Students can choose electives from the academic strands under this track. 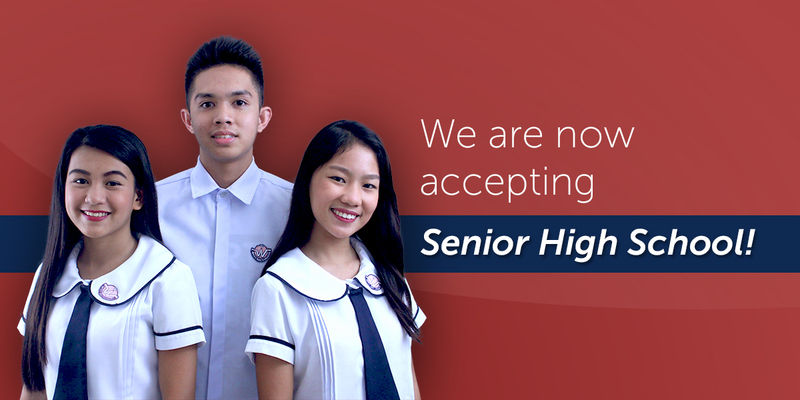 This strand focuses on the basic, common, and core competencies that the Senior High School (SHS) student ought to possess, and is designed to enhance the knowledge, skills, positive attitude, and work values in accordance with workplace standards. Specifically, it provides the knowledge, skills, and attitudes vital to the operation of distress emergency equipment. Also, it focuses on the competency of steering the ship and complying with helm orders in the English language. It aims to achieve the following competencies: carrying-out a watch routine appropriate to the duties of a rating forming part of an engine-room watch, and understanding orders and being understood in matters relevant to watch-keeping duties. This specialization is an exploratory course in Cookery, which leads to National Certificate Level II (NC II). It covers five common competencies that a high school student ought to possess, namely: knowledge of the use of tools and equipment; maintenance of tools, equipment, and paraphernalia; performance of mensuration and calculation; interpretation of technical drawings and plans; and the practice of Occupational Health and Safety Procedures (OHSP). Food and Beverage Services specialization leads to National Certificate Level II (NC II).This course is designed for a high school student to develop knowledge, skills, and attitude to perform the tasks required. It covers the core competencies to prepare dining room/restaurant area for service; to welcome guests and to take food and beverage orders; to promote food and beverage products; to provide food and beverage services to guest; to provide room service; and to receive and to handle guest concerns. This is an exploratory course which leads to a Shielded Metal Arc Welding National Certificate Level II (NC II). It teaches the students to possess mastery in using welding tools, equipment and paraphernalia; to perform mensuration and calculation; to practice Occupational Health and Safety (OHS) procedures; and to interpret technical drawing and plans. This is an exploratory and introductory course which leads to an Electrical Installation and Maintenance National Certificate Level II (NC II). It covers five common competencies that the student ought to possess: to use tools, equipment and paraphernalia, to perform mensuration and calculation, to practice Occupational Health and Safety (OHS) procedures, to maintain tools, equipment and paraphernalia, and to interpret technical drawing and plans.